Update: Sold out for now. Between the advent of VR and crazy-fast new GPUs, it’s as good a time as there’s ever been to get into PC gaming. 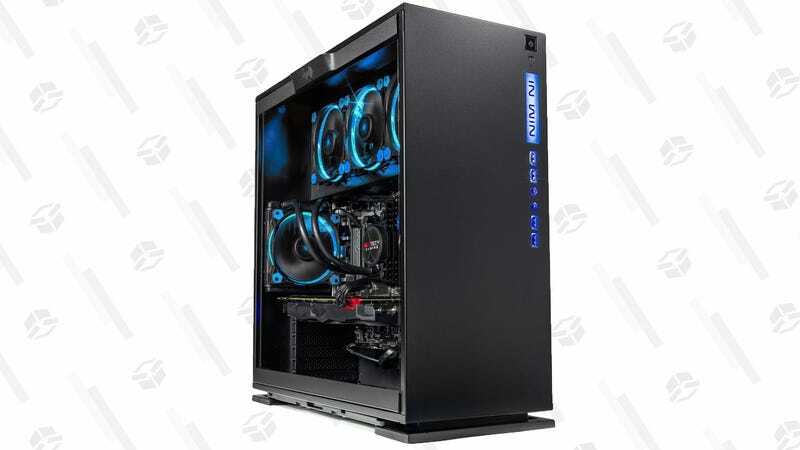 If you don’t want to build your own rig, this pre-built box from Walmart is a hell of a deal for $1,500. That includes a Core i7-8700k and a blisteringly fast RTX 2080 8GB graphics card. Combined, those would already put you up to around $1,100-$1,200, so when you add in the case (which is pleasantly understated), the power supply, the motherboard, Windows 10, a 1TB HDD, a 250GB SSD, and a copy of Battlefield V, you’re almost definitely coming out ahead versus building this yourself.